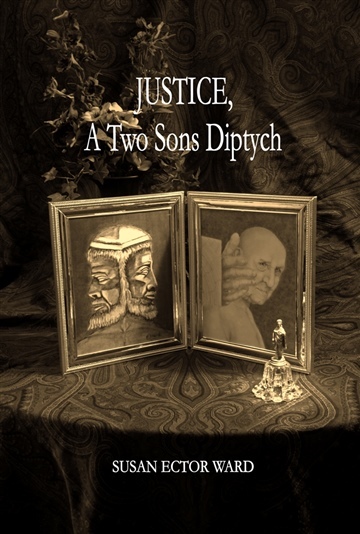 Justice, A Two Sons Diptych is Literary Fiction. Justice is the core of any culture. A Two Sons Diptych challenges a classic concept of justice. The shift elevates principles of empathy and reform above the rule of retribution and punishment. My free verse literary diptych uses opposing fictional stories to contrast models of justice. The father embodies the justice system in each story while the son plays out the effect of each system. The Two Sons Diptych will stimulate deep and disconcerting deliberation long after the reader finishes. Innocence, unbridled passion, betrayal, hurt, and healing are all here in straightforward simplicity driving the diptych into deeply contemplative contrasts. Rich imagery with dynamic rhythm and intense passions bring the reader to a new vision of a father’s love. This book is not only intended for the deeply contemplative reader. Although narrative poetry is not the usual fare of the casual reader, its conversational style is easy to read. The speed, rhythm and imagery, as well as the intense passions of the characters, will keep the attention of every reader from its beginning to its eerie ending. The two stories it contains draw attention to the sharp contrast within our concept of Justice. In thinking back and forth between the two stories, the reader begins to ask, "What is Justice?" The diptych uses the son in each part to reveal the nature of the father, who is the justice system of each. This contemplation of justice is very important as our world develops its global culture. Justice, A Two Sons Diptych is a book for anyone who desires justice in any form.